A storage rental in Capitola, CA can help a family start using their garage and closets again, and college storage is convenient for students who study far from home. Commercial storage rental can be a lifesaver for your business as well. 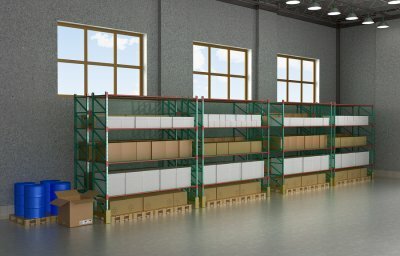 If your business is growing and your demand for inventory increases, you’ll need somewhere to put it. Working from home is nice, until your work starts to take over your home, but having a place to store your tools can take the burden off your family. Read on for signs that your business could benefit from renting a storage unit. You’re running out of room for your inventory. Many businesses work hard over the span of years or decades to get to where they are now, but sometimes businesses explode overnight. If you’re suddenly hit with a huge demand for your products, you need somewhere to store your inventory. Your office space might not be huge, especially if you’re a young company, but a storage unit can clear up some room. You can keep your inventory in a storage space until you need it, so you won’t have to trip over it when you walk back to your desk from the water cooler. Working from home has its advantages, but it has drawbacks as well. If your apartment doubles as your home office, you’ll probably have even less room to store your inventory, equipment, and necessary business supplies. This is a bigger problem if you live with other people. Not only do you have to worry about clutter getting in the way, you also must protect your business equipment from damages. Consider turning your spare room into a legitimate home office and putting its contents in a storage unit. You need a place for your tools. If you work in an industry like the plumbing or home improvement, you can be your own boss without having headquarters to work out of. You may not have too much paperwork or office equipment to worry about, but a storage unit can house your tools, so you don’t need to keep them at home. You might be excited to get your things into your own storage unit in Capitola, CA so you can free up some space around the house, but don’t rush into the process and make thoughtless mistakes. People often put themselves at risk for injury, because they use improper lifting techniques that can hurt their backs. It’s also a good idea to research the storage rental company and make sure they’re right for you. Here’s more on what not to do so that you don’t make any common mistakes. When it comes to the actual process of putting your things into your storage unit, you should know how to pack and lift your belongings correctly. It’s much easier to transport your belongings when they’re packed the right way, as they won’t shift around in their boxes or give you problems when you’re hauling stuff to and from the moving truck. Use boxes that were designed for moving, not old and broken boxes from your local grocery store. When you move a heavy piece of furniture, have a friend help you. 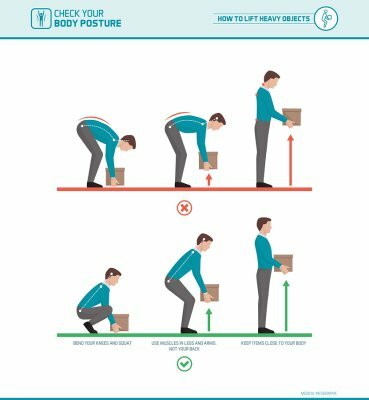 If you can take on the load yourself, remember to keep your back straight and lift with your legs. A storage unit could be exactly what you’re looking for, but the company you work with can make a big difference in your experience. There’s no reason to work with a company that you don’t trust. A small amount of research can go a long way, and simply checking out a storage rental company’s website can teach you a lot about them. Look at your options, and don’t work with a business that doesn’t make you comfortable. Your belongings should be just the way you left them when you come back to your storage unit. If you stack your boxes too high, they could crumble over time and end up falling over and destroying some of your stuff. Consider what’s in your boxes, and keep the stacking to a reasonable height. A cluttered house can be a stressful home, especially if your at-home storage space is minimal or you have a large family. Take advantage of affordable self-storage to clear out your home of seasonal items at the end of the summer. A storage rental company in Capitola, CA can offer clean, secure units in a variety of sizes. Gather together any hot weather clothing you don’t intend to wear until next summer. Make sure each item is clean and thoroughly dry to discourage mildew. One of the most effective ways to protect clothing in temporary storage is to place it in vacuum-sealed bags. Then, stack the bags in a sealable plastic bin. While you’re at the storage unit, take the opportunity to get your chilly weather clothing out of storage. 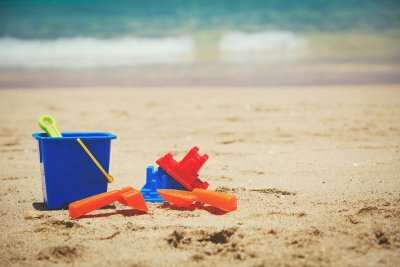 Californians are able to enjoy the great outdoors year-round, but there are still some recreational items you might not need once summer is over. Use your self-storage rental to put away tents, portable camping stoves, and coolers. Any other recreational gear you don’t plan to use for a while can also be stored away, such as rollerblades, kayaks, golf clubs, and mountain bikes. Once you’ve closed your pool for the season, there’s no need for all those accessories and cleaning equipment to take up space in your garage. Your storage unit can easily accommodate pool floats and cleaning chemicals. Or, perhaps you have a kiddie pool that your children won’t be using until next summer. Protect it from the elements by storing it. Did you know there’s a right time of year to buy certain things? By taking advantage of end-of-year sales during the fall, you can finish your holiday to-do list ahead of schedule. You can store bulky gifts in your self-storage rental so that prying eyes won’t find them prematurely. The fall is a great time of year for deals on toys, housewares, electronics, and BBQ grills. Even if your home lacks a wine cellar, you can take advantage of the fall harvest deals on wine by storing extra bottles in your self-storage unit. Fall is one of the best times of the year to buy wine, as it’s when vineyards introduce new vintages. A move is exciting, but it’s not always the easiest to pull off. If you think you might need some help with the process, consider looking into a storage unit in Capitola, CA where you can store some of your belongings during the move. A storage unit will give you a place to store a portion of your belongings to make the move easier and ensure that your things stay protected throughout the procedure. You can get rid of some of your clutter, stay organized while moving, and have a place to keep some of your childhood belongings when you head off to college . Read ahead to find out how self-storage can help during your big move. Packing up and getting ready to move can be difficult if you’re constantly tripping over belongings that you don’t need in the house, but a self-storage unit can help. Rather than using your living room, garage, or entryway to your home as a storage space, consider renting an actual self-storage unit. This will give you a place to put the items that you don’t necessarily need to keep in your home and allow you to take back the space that you paid for. Organization is key when you’re moving, but it’s easy to get thrown off track. If you want to remain as organized as possible throughout the process, think about how you can use a storage unit. When you get ready to move, you might come across old belongings that you don’t necessarily need but don’t want to throw away; if you have a storage unit, you have a convenient place to store these items. Moving out of your parents’ house to go to college is a big step, but you will likely be back in between semesters. If you don’t want to bring everything from your old bedroom to your new dorm room, a storage unit can be of help. You won’t have to worry about keeping tabs on old mementos, but you won’t have them taking up valuable space either. As you are getting ready to move into your storage unit, you may want to rely on expert moving tips for packing your boxes. In this video, you will receive professional advice for packing and storing your clothes. After you have obtained cardboard boxes and packing tape, you will be ready to pack your wardrobe. Your storage unit facility in Santa Cruz may also be able to provide you with special wardrobe boxes, which will allow you to hang up your clothes. Once you have packed up your clothes in the correct manner, you will be ready to start moving. A secure storage unit will provide a climate controlled and low humidity environment that is perfect for storing your clothes. When you think of self-storage near Capitola, CA, you may have certain questions. What can be stored? 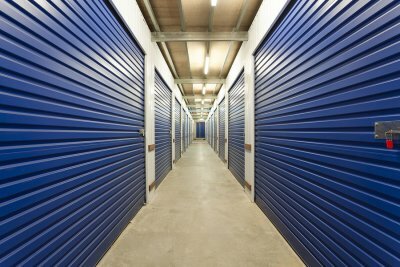 How secure is a storage unit rental? How many sizes are available to rent? These are just a couple questions that might pop up when considering a storage unit rental. Continue reading to learn more about what you should know about self-storage . Almost anything can go into your self-storage unit. Your heirlooms, seasonal clothes, holiday decorations, and rarely-used appliances can easily fit in one or more storage units. If you have a college-aged child, then you may wish to rent a student storage unit. This is the same type of unit, but it can hold your child’s furniture and items while he or she is away at school. Speak with your storage rental company about specific items that are not allowed in a self-storage unit, though most only prohibit living animals, perishable food, and hazardous chemicals. If you have worried about placing your valuables in a storage rental, then you can rest assured that self-storage is completely secure. Storage rental companies have different types of security, but many utilize the services of an onsite manager who keeps the facility secure at all times. Your storage unit rental will be locked and accessed only through an electronic keypad and your individual code. Storage rental facilities are also fenced and only accessible through the same code. There are multiple storage unit sizes to accommodate all your needs. Storage units are typically 10 feet high and come in a few different sizes. You can choose a unit size depending on the square footage amount of the items you are storing. You can also rent multiple storage units, if you have many items that need to be stored. Speak with your storage rental company about the recommended size to accommodate your storage needs. Consider what you are storing. The size of your storage unit may change depending on what you want to store. For example, you may only need a small unit if you plan to store seasonal clothes and decorations. If you are storing heirlooms, furniture, and artwork, though, then you may want a larger storage unit. Think about the storage facility’s proximity to you and how often you will access your storage unit. 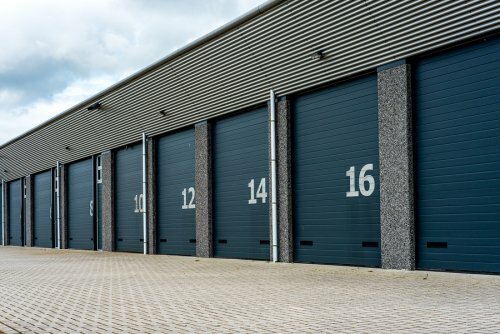 If you anticipate accessing your unit regularly, then look for a facility and storage unit close by. Look at the security of your intended storage unit. Your items deserve to be protected at all costs, so look for a secure facility where you feel safe leaving your items. A storage unit rental in Santa Cruz can provide you with space and security while you prepare to downsize your home. This short video will provide you with tips and tricks to keep in mind when you are downsizing. As you downsize your living space, you will want to make sure that you have quality packing materials on hand. Additionally, you can get organized to pack by making decisions about the items that you will keep, donate, or toss. To ease your stress as you downsize, you may want to rent a storage unit. A storage unit facility can provide you with the storage options that you need to organize and protect your belongings during a move. Your storage rental company can provide you with more packing and moving ideas. Whether you’re moving across town or the country, the process requires planning if you want it to go smoothly. 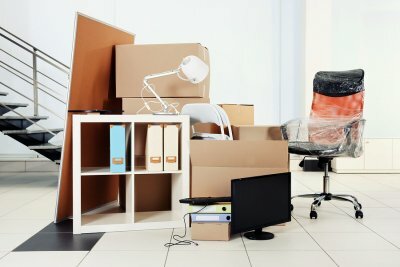 In addition to finding mobile storage near Santa Cruz, CA for your upcoming move, it’s also a good idea to learn what items should not go into your moving boxes. Watch this video for tips on preparing for a moving day that’s both safe and smart. These are just a few examples of items that you shouldn’t pack. To find out more, ask your moving company for a list of what shouldn’t go into your moving boxes. Are you looking into storage unit rentals in Capitola, CA? If so, then finding a high-quality storage rental company is essential. When you choose to put your belongings into storage, you want to feel confident that they will remain safe and secure. To help ensure this, there are a few qualities to look for when searching for the best storage unit location. First, seek out companies that feature a fenced in property. 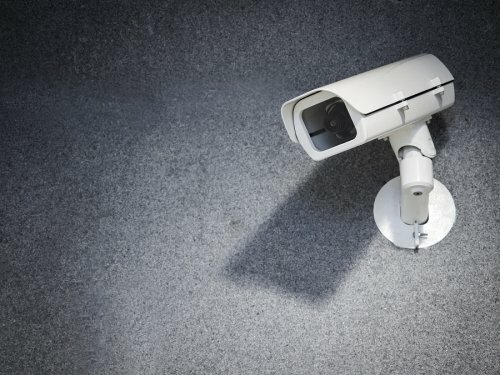 This quality helps ensure that thieves and trespassers are less likely to enter the lot and have access to your rental unit. Second, look for storage rental locations that have someone on duty around the clock. When a facility has staff on the premises 24-hours per day, you can feel more at ease about the safety of your stored property. Finally, find out how people access their unit. If each renter has an individual code to access both the property and their unit, this can add an extra line of protection for your possessions. By taking the time to find a storage location that offers plenty of security, you can feel more confident about the safety of your stored belongings. A storage unit in Capitola, CA can be a great commodity all year long, but the way you use it might change throughout that duration. Your self storage rental can house your holiday decorations during the off season and keep your pool materials in top shape throughout the winter. You can even use your storage space to clear up some space at home by keeping certain types of clothing out of the house until they are needed. Feel free to read on for a closer look at some of the many seasonal uses for your storage space . A massive blow-up pumpkin decoration might make you the most popular homeowner on the block during the Halloween season, but what do you do when it’s time to take it down? Holiday decorations are inherently only relevant for short windows of time; when they are used out of season, they can be awkward and even annoying. When it comes time to deflate your balloons, pack up your Christmas lights, or take the Menorah down, consider using a storage space. You won’t need your decorations for about a year, so you might as well clear up some space in your home and bring your holiday materials to your storage unit. No matter where you live, you might not feel like going in the pool all year long. If this is the case, you should have a safe spot to store your pool materials. By renting out a storage space, you can rest assured that you have a place to store your pool materials without any worry of them becoming damaged. This goes for pool noodles, floats, skimmers, and even pool maintenance chemicals. Most people change the way they dress along with the seasons, and this can lead to a great deal of lost closet space. Rather than filling up your walk-in with clothes you won’t need for another six months, try keeping your out-of-season clothing in your storage unit. This can also save you time when you want to quickly find something to wear before heading out. 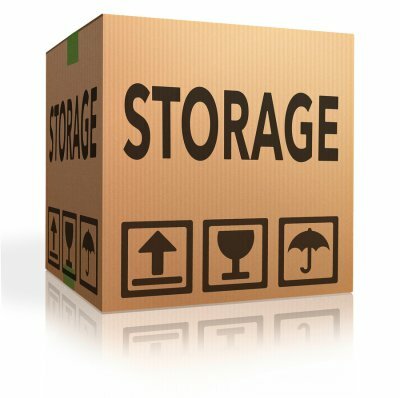 Before you head to your storage unit in Santa Cruz, CA , you will need to first pack up your belongings. This tends to be a stressful experience for many, but the right insight can make it a much simpler process. Watch this video if you would like to pick up some top tips for packing before using a storage unit. Whether you are going on a vacation, moving to a new home, or stowing some of your belongings away in a storage unit, you need to make sure you do it right. This will ensure that your belongings are in the same shape when you retrieve them as they were in when you left them in the storage unit. Use a wardrobe box when you transport clothing, and take advantage of the extra space at the bottom. Remember to label and color code your boxes for easy unpacking, and keep your larger items in smaller boxes and your smaller items in large boxes. Whether you are an incoming freshman, or are headed home for summer vacation after finals, renting a storage unit is a smart choice. 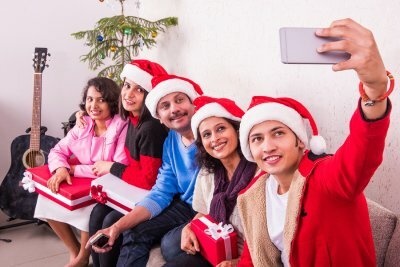 As a college student, chances are that there are certain items that you want to take home with you over the holidays, and other items that you will want to leave behind. For this reason, it is a great idea to rent a student storage unit over your summer break. 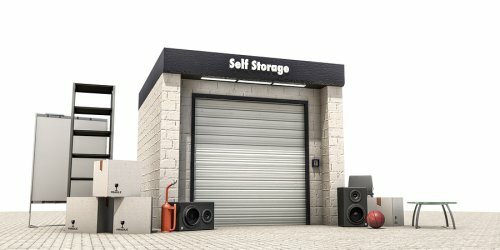 In order to get the most benefit out of your self storage, there are several tips that you will want to keep in mind. You can start the storage process by researching facilities in your local area. A top rated facility offering temporary storage will be a perfect site for storing your belongings. Along with choosing a reputable storage rental company near Capitola, CA, you will also want to select a storage unit that is the right size for your needs. After you have rented your storage unit, you will be ready to start packing, sorting, and organizing your belongings. A storage unit can provide you with the space that you need to keep your belongings safe, protected, and secure. With services from a storage rental company in Santa Cruz, CA , you can rest assured that your new storage unit provides you with fantastic accessibility and security. In order to prepare for your upcoming storage unit rental, you will need to take the time to make sure that your personal items are properly organized, packed, and prepared for placement in the storage unit. To help you gear up for your storage rental, here is a look at how to get your stuff ready for self storage. One of the most important steps to take when you are preparing your belongings for storage is to get organized. Before you begin the packing process, you will want to take the time to sort through your items and determine what will be packed and stored, and what will be discarded. Any belongings that are no longer useful to you can be donated or tossed out. After you have organized all of your belongings in preparation for storage, you will be ready to start gathering your packing materials. For example, it is a good idea to collect an assortment of boxes in a variety of sizes. 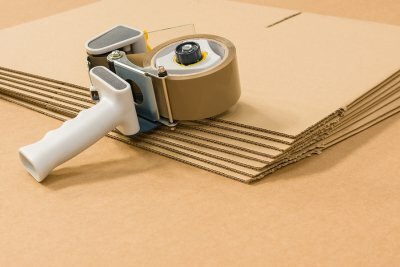 Along with locating boxes, you will also want to pick out other types of packing materials, including tape, bubble wrap, and newspaper. These materials will be essential for your packing process. With all of your materials in place, you will be ready to begin packing. As you pack, you will want to make sure that you carefully label each box. With the proper labeling, you can make sure that you will be able to easily find all of your items after they are placed in your storage unit. After all of your boxes have been packed, labeled, and taped, they will be ready to be transported to the storage unit facility. Whether you are moving your belongings into temporary storage or gearing up for a long term storage rental, it is important to make sure that you arrange your storage unit carefully. With correct packing and preparation, you can rest assured that you will be able to easily access and sort through your belongings when they are needed. A company offering self storage near Capitola, CA will be able to provide you with the right storage rental for your specific needs. To help you get ready for your move into storage, here is a look at the process of arranging a storage space. 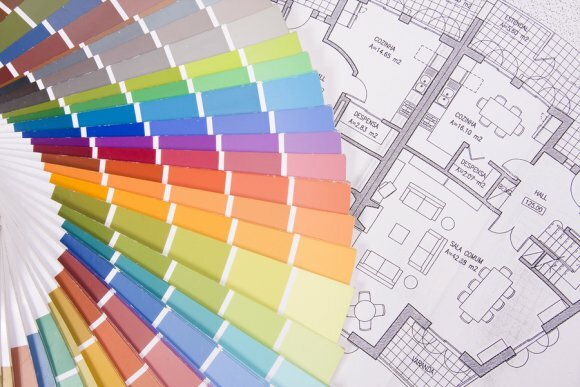 The first step of arranging your storage space is to create a detailed plan. For example, after you have rented your storage unit, you will have a better idea of the square footage and layout of the space. With this information in mind, you will be able to determine where each box or item will be placed within the storage unit. To achieve the best organization in your unit, you may want to place bulky furniture items in the back and smaller boxes in the front. As you are preparing to arrange your storage space, you will also want to make sure that all of your items are packed carefully. For example, as you are packing your boxes, you will want to make sure that the exterior of each box is labeled with a list of its contents. With proper packing, you will have a better idea of how your storage unit will need to be arranged. While arranging your storage space, it is essential to maintain organization at all times. For example, you may want to sketch out a simple diagram of where you will be placing each type of box and piece of furniture. With a diagram in hand, you will have a quick and simple reference of where each one of your items will need to be placed. You may be considering placing some of your belongings into storage at a storage facility near Santa Cruz . There are a number of reasons to keep specific items in storage. You may wish to protect your belongings from damage during renovation work on your home, to save space at home, or to keep items safe while you are travelling or moving to a new home. You may wish to store bulky furniture or other family heirlooms you do not have space for in your current property. 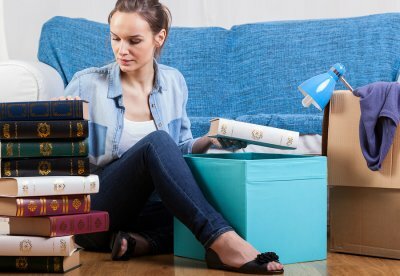 If you are a student, you may wish to store your belongings close to campus during the summer break, to avoid having to transport them across country and back. If you own a business, you may wish to store spare inventory, trade supplies, or important documents and papers. You could also place sports equipment, such as water skis, into storage.